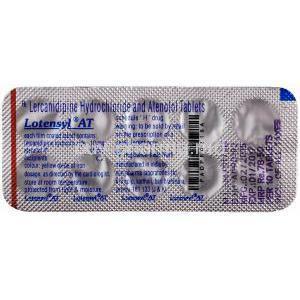 Lercanidipine HCL/ Atenolol combination drug may be prescribed to help treat hypertension. 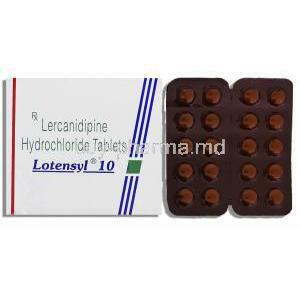 Generic Name:Lercanidipine HCL., Lercanidipine HCL. Lercanidipine is used in the treatment of hypertension. Lercanidipine is known as a calcium channel blocker. Lercanidipine works by affecting the way calcium passes into certain muscle cells in your blood vessels. The muscle cells need calcium to contract. Lacidipine reduces the amount of calcium that goes into these muscle cells which causes the muscle cells to relax. This then lowers the blood pressure by widening the blood vessels.